Oluwashalom – All Nations ft. Amy Berna. 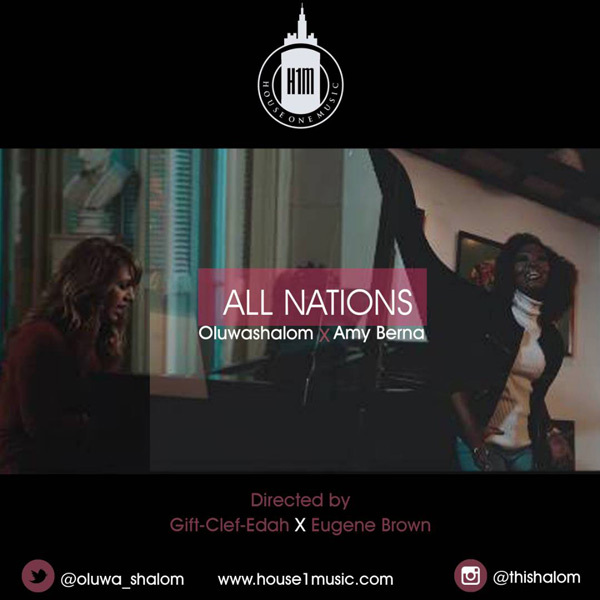 In this period of affection, House One music gospel breathtaking artiste Oluwashalom is imparting her adoration to the official arrival of her Video titled: #AllNations including American Gospel soul and R&B vocalist – Amy Berna [@amyberna]. This is her first global joint effort with Amy Berna. There appear not to be a superior time to share this tune, which is a call and the want of our souls to see solidarity, peace and love beginning from the group of Christ, and spreading all through the world. We anticipate #AllNations from each side of the world lift up their voices in one bound together acclaim to our King! May this tune reinforce our affection and may our acclaim convey mending to our reality. In Jesus name, Amen.